The perfect addition to a grilled burger or steak. 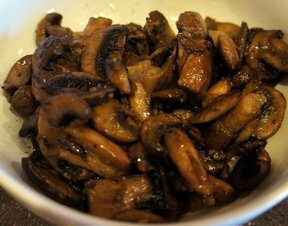 These mushrooms will melt in your mouth. 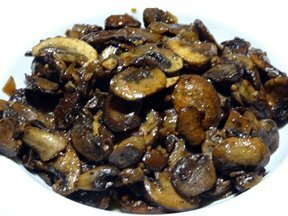 Clean mushrooms and cut in half or slice. Add oil, garlic powder, salt, pepper and juice from lemon. Heat thoroughly. 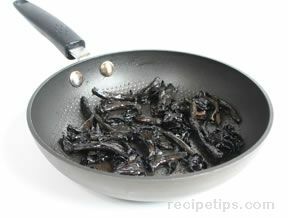 Add mushrooms and continue cooking, stirring occasionally until mushrooms are tender, approximately 10-12 minutes. "SO GOOD! There were a few leftover so I chopped them up and added them to a burger for myself the next night with some Parmesan cheese. THE BEST burger ever. 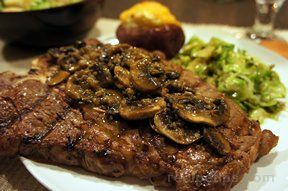 I will have to double the batch of mushrooms so I can eat the mushrooms and add some to burgers."